Aquarius Maintenance: is it the cheapest in the block? 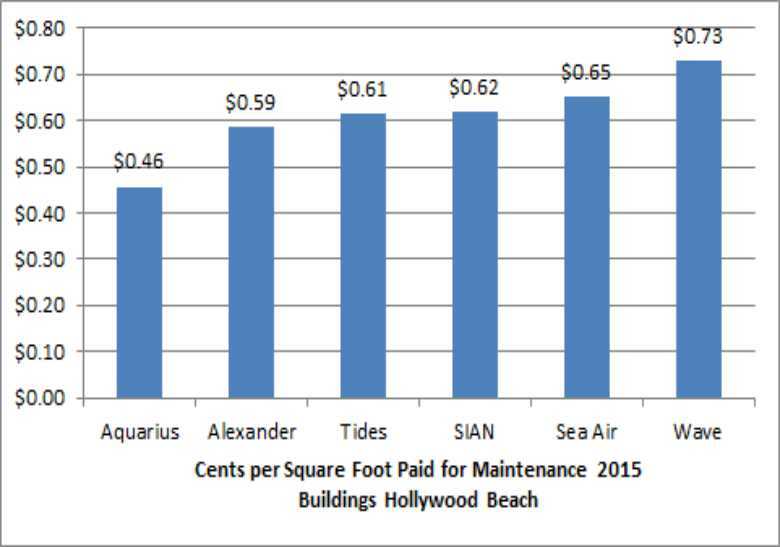 April 3rd, 2015 we surveyed the maintenance costs of condominiums near Aquarius in Hollywood, Fl. You may click here and compare the maintenance costs practiced in April. Now, August 2015, we have a new survey. Aquarius is still the cheapest Condo. in maintenance cost per square foot. It charges less than buildings that offer less amenities. Aquarius charges less than buildings with greater number of units that allow for a better sharing of expenses. So at Aquarius the monthly maintenance charged is about 28% lower than the next lowest Condo charges. Is this good? Certainly not. The lack of funds results in a poorly maintained building. Sam Schmuter wrote a letter addressing the destination of extra maintenance funds (click here to read this document) the building received. It is clear that saving in maintenance has brought the building many problems. The clear and well written work of Sam Schmuter is impossible to contest. When blaming the Board of Directors for todays’ difficulties it is healthy to reflect the real cost of absurd low maintenance quotas. Besides the lower quality of enjoyment we can experience in a building with so many aspects to repair there are other nefarious consequences. 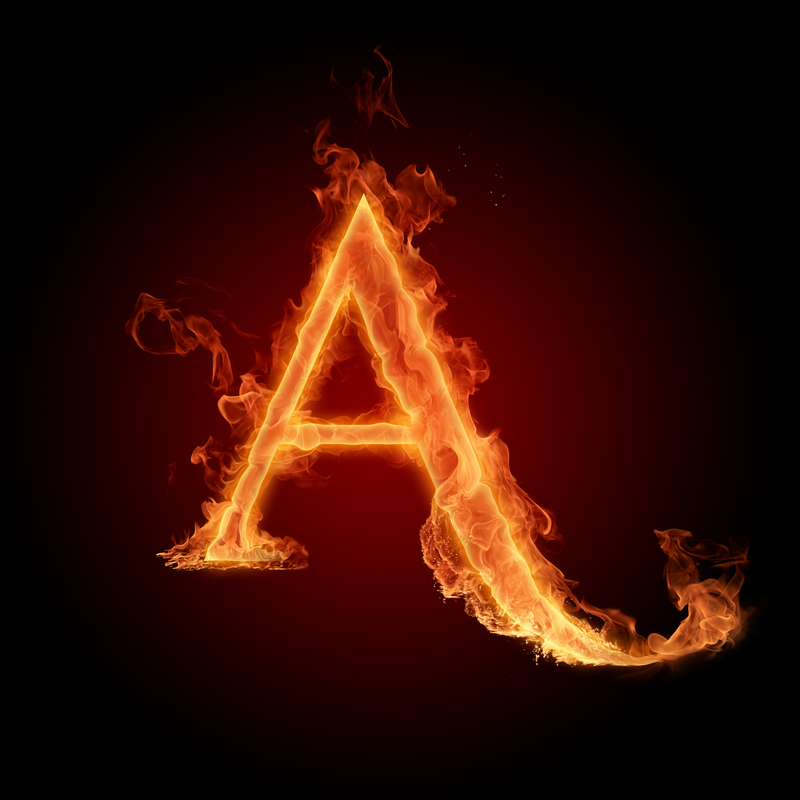 An upscale neighborhood, as the one Aquarius is in, does not favor a fixer up. Just consider smaller units in huge neighboring buildings selling for more and more rapidly because we, at Aquarius, are saving in maintenance. Penny wise and pound fool is not smart. This entry was posted in Finance and tagged capital, cost, improvement, maitenance, quotas. Bookmark the permalink. 3 Responses to Aquarius Maintenance: is it the cheapest in the block? What is the budget. It is regular monthly payments to properly maintain the buildings. It is maintenance fee, which can be calculated on square (even cubic) foot It depends on calculations of regular expenses – on water, electricity, workers and so on. Many, many buildings keep it low, many raise, but the budget is calculated, not compared. We have lower maintenance. If calculations show that we spend more, we should increase, If less we have to decrease. Budget is the function of the Board, properly calculated. The BOD is not actually criticized for Budget. Please make it clear. Besides, There are apples and oranges. Tides, SIAN, Waves, Sea Air are newly converted to condos with a complete reconstruction. These condos are considered completely renovated. You should take them off your’s or your friend’s comparisons. We are not even remotely close to these buildings. Again there are oranges and apples or bananas. “When blaming the Board of Directors for today’s’ difficulties it is healthy to reflect the real cost of absurd low maintenance quotas” as you write. If anybody blames the BOD it is not for maintenance fees. It is for absolutely different category. It is for special assessment. Dear C. please clarify it in your mind. We had a special assessment which is supposed to be paid in 3 years and it is already added to maintenance monthly. Thus our monthly expenses are much higher. You may not comprehend this, possibly because you bought your apartment recently and this assessment was possibly paid by your seller ( I apologize if my assumption wrong,but I tried to reflect the real cost). Dear C. please put your mind to the problem of the additional huge $4,000,000 special assessment which has nothing to do with definition of budget and maintenance fees. Ask yourself question how necessary were our 2nd special assessment when half people have to pay about $20,000 within 6 months. But you do not write about special assessments at all, so I do not discuss it. Also blame or attraction is not a part of our discussion.